In the summer of 1986, 21-year-old Susan Conroy journeyed to Calcutta alone to help the Missionaries of Charity. She developed a personal friendship with Mother Teresa that lasted throughout the course of 11 years, until Mother was called Home to God. Susan joyously received from Mother Teresa a copy of her old prayer book with a hand-written message inside. 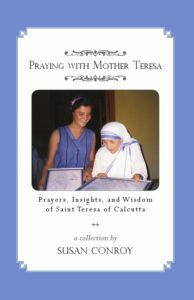 Now, the author of the best-selling Mother Teresa’s Lessons of Love & Secrets of Sanctity presents a one-of-a-kind collection of the prayers, insights, and wisdom of Mother Teresa of Calcutta, including some never-before-published photographs. 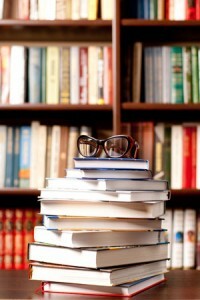 Each has been carefully, and prayerfully, selected for use in daily prayer and Eucharistic adoration. Mother Teresa gave Susan her blessing and approval to share these words and prayers with others “to bring them peace and joy too.” May we all experience the joy of being close to Mother Teresa by sharing in her life of unceasing prayer and merciful love for all. Calcutta is very far away. Heaven is a lot closer. Mother Teresa is only a prayer away from us now.